Q. It’s Chinese New Year – how do you celebrate it? With friends and family? A. 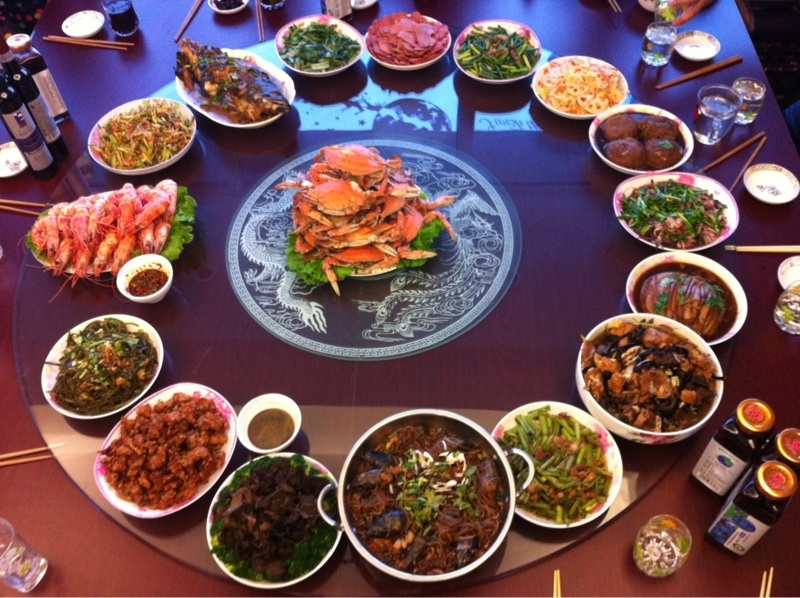 We celebrate Chinese New Year with family, like Christmas, it is a family reunion festival. 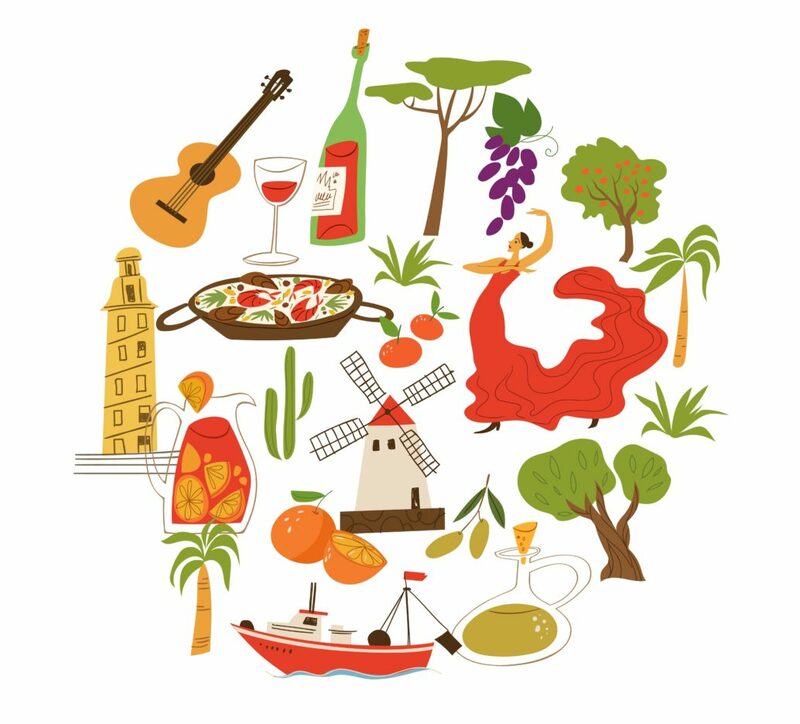 People wherever they are, come home to celebrate the festival with their families and spend some quality time together and catch up. The most common way to celebrate it is with feasting, one banquet after another, we also play games with families, e.g. mahjong, poker, etc. 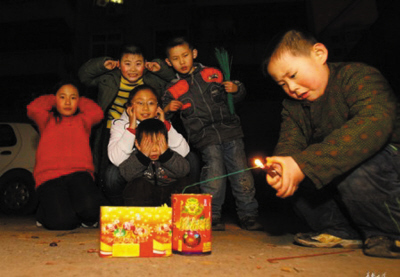 Firecrackers are set off to frighten evil spirits, especially on CNY eve and when the clock strikes midnight, a barrage of fireworks and firecrackers reaches its peak and you almost feel your ears being deafened by the sound. For most Chinese people, watching Chinese Central TV’s ‘Spring Festival Gala’ on CNY eve, is also one of the necessities. When I was a little girl, there were very few interesting entertainment programmes on Chinese TV. This show featuring so many entertaining musical, dance, comedy, and drama performances, used to bring me SO much pleasure, fun and excitement. For many years on CNY eve, I used to sit in front of the TV and watch this show continuously for 4 and a half hours with avid concentration! Nowadays, although this show has lost much of its magical charm for me, it still remains one of the most important rituals for me to celebrate CNY. Q. When do you celebrate it? Is it the night before or only in the day time? A. The most celebrated day is CNY eve, in the evening of this day the extended family would join around the table for a very rich and splendid dinner. 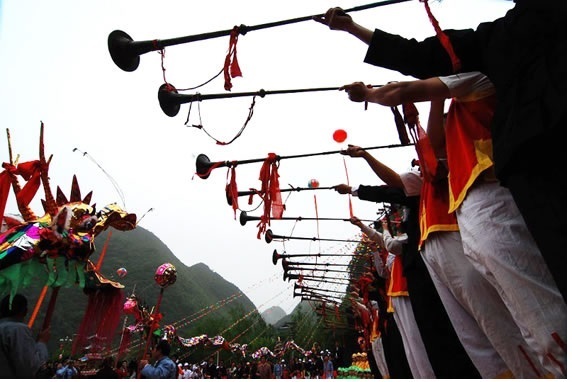 During the following few days, the festival continues as traditionally this festival ends on the 15th of the first month according to the Chinese lunar calendar, this day is also a festival in China which is called the Lantern Festival with the waxing of the full moon. Q. 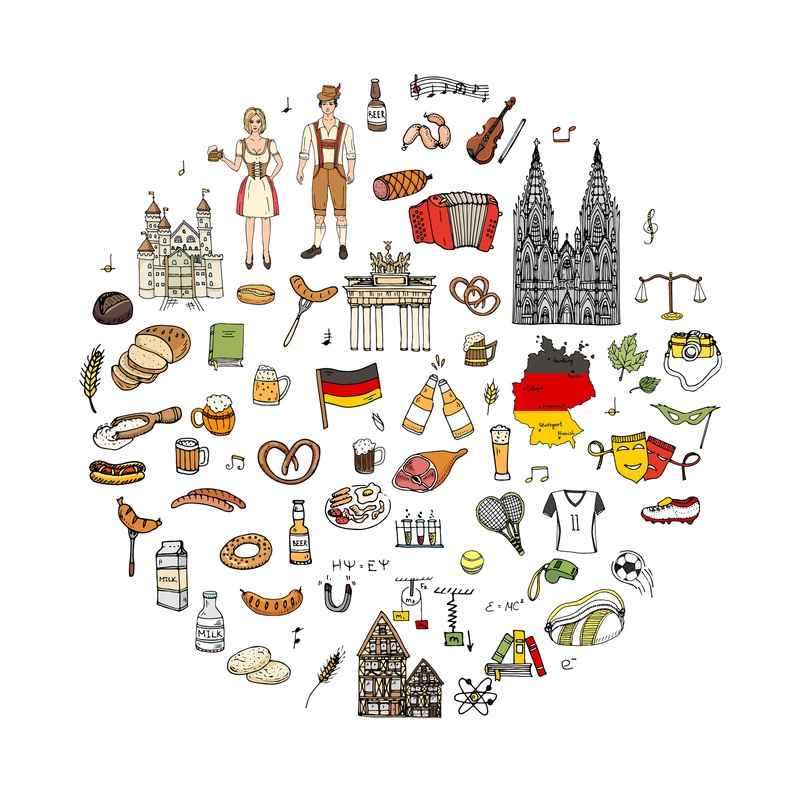 Is there any particular food or drink you consume? A. Fish is a ‘must have’ course for the banquet on CNY eve as the word for ‘fish’ is a homonym of the word for ‘surplus’, so the course is symbolic of abundance. 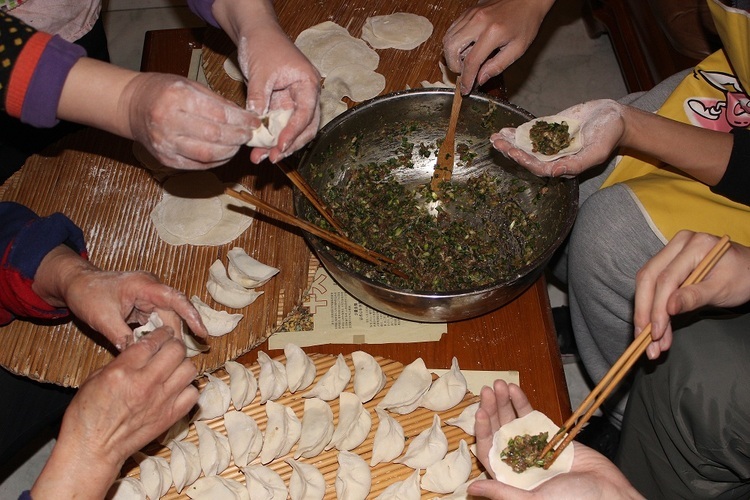 In the north-east of China, another traditional food for the feast is jiaozi (dumplings). They are shaped like a crescent or ‘jinyuanbao’ (small gold ingots that were used for money in ancient China). Dumplings are served at 12 midnight on CNY eve which is the transition time of the old year and the New Year. People drink Chinese spirits, beer, wine and other soft drinks at the many banquets, however all the food and the drinks are now commonly consumed items in people’s daily lives. Q. Do you observe any customs at Chinese New Year you wouldn’t normally during other times of the year? A. 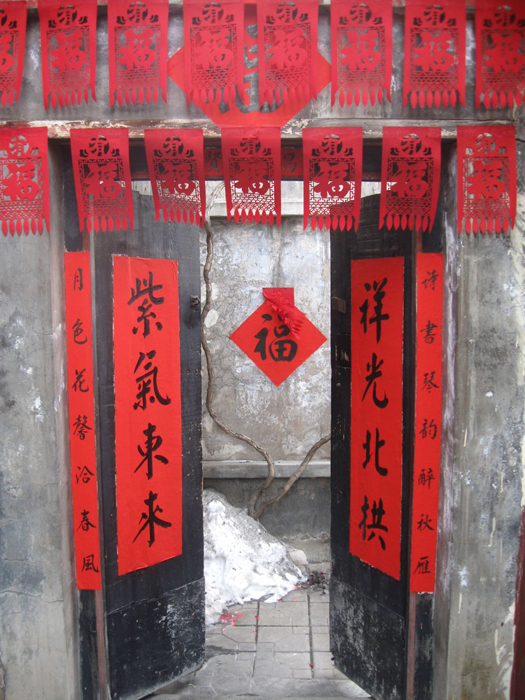 In preparation for CNY, homes were thoroughly cleaned to rid them of “huiqi,” or inauspicious breaths. 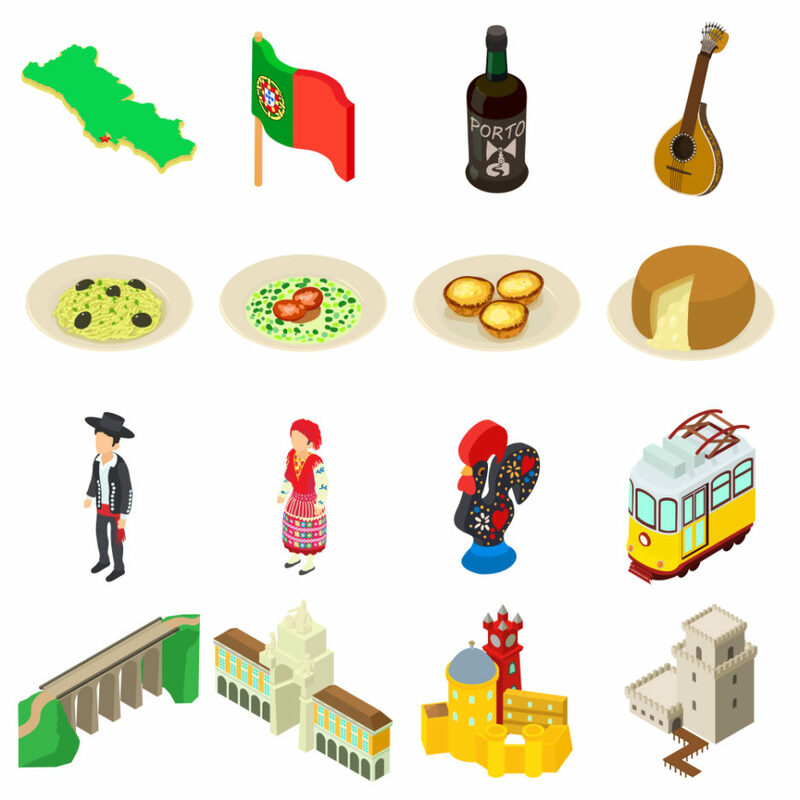 In some families, sacrifices of food and paper icons were offered to gods and ancestors. 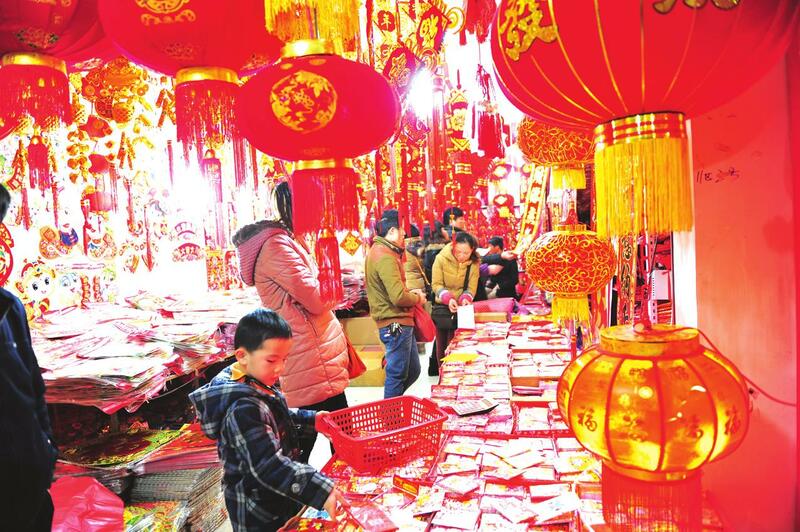 Another custom which is particularly welcomed by children is when the children are given Red Envelopes (Lucky Money) on CNY eve. Parents and other elder members of the family give the children Lucky Money in the evening, with good wishes for the kids to grow healthily in the coming year. In our family, we have a special custom associated with CNY celebration. As the whole family spends some time together to prepare dumplings, my mum always puts a coin in one of the dumplings and says that whoever finds it will be showered with good fortune in the year to come. I remember when I was small, I tried so hard to eat as many dumplings as I could to increase my chance of winning! My other favorite custom at CNY is “getting a makeover”, as in China, it is customary to get a haircut and new clothes for the New Year. In the past, getting a set of new clothes was a really big event! Q. Do you see in the New Year with fireworks? A. Yes, definitely. Fireworks are our traditional way to bid farewell to the old and usher in the new. Nowadays, in some big cities, fireworks and firecrackers are forbidden due to the safety issue, however local governments normally organise some fantastic firework shows on CNY eve. Q. What is your animal sign in the Chinese Zodiac? A. My animal sign in the Chinese Zodiac is snake. 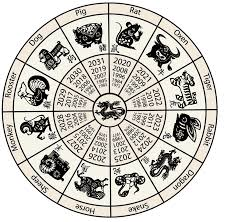 In the Chinese Zodiac, there are 12 animal signs: rat, ox, tiger, rabbit, dragon, snake, horse, goat, monkey, rooster, dog, and pig. Each animal represents a year in a 12-year cycle, beginning on Chinese New Year’s Day. 2015 is a year of the goat. A. I don’t have a routine yet… I’ve only been in China for five of them! In fact we’re off on holiday from frosty Beijing to the very south of China – a city on the coast near Vietnam, then inland to the karst hills of Guangxi province. A. 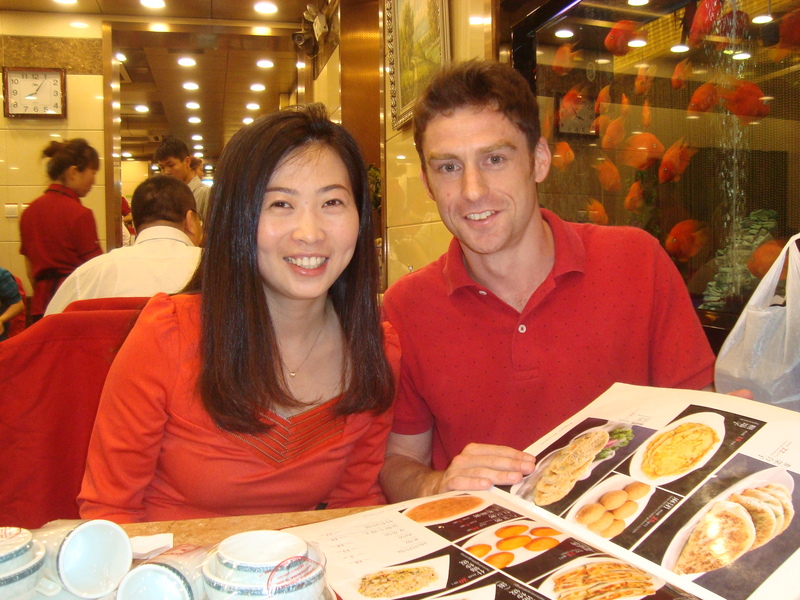 The night before: the Chinese traditionally get together with the family, eat dumplings and see the next day in. For the following few days the streets are deserted. Normally there are 20 million people buzzing around Beijing, but the whole country has seven days off work and a lot of non-locals in the city go back to their home towns. A. Dumplings! As traditional as turkey at Christmas. And the fearsome Chinese white liquor baijiu if you like that kind of thing. A. 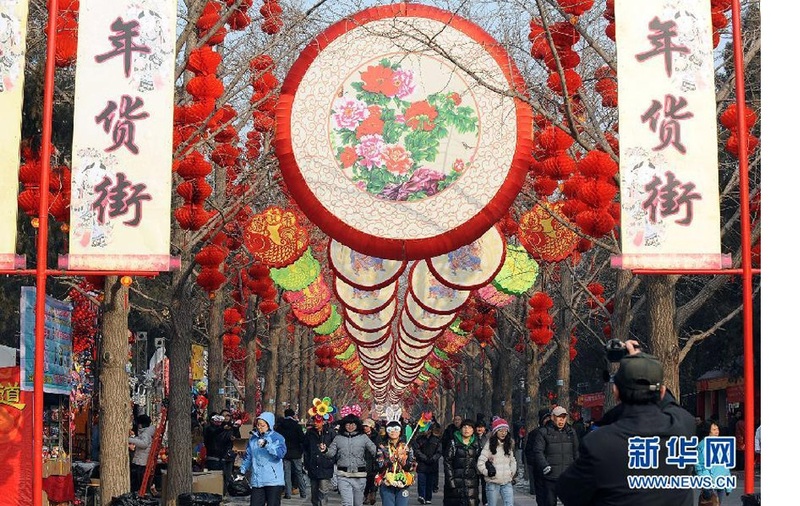 The Temple Fairs held all over are thronged at Spring Festival. People buy knick-knacks, snack at stalls and watch paper-lion dances. I suppose it’s the equivalent of a Christmas market. A. Spring Festival is now the only time of the year you’re allowed to set off fireworks in China (from the first until the fifteenth of the lunar year) so you can’t miss them. Ear-splitting firecrackers, that is, rather than more sleep-friendly alternatives. A. I’m a rat. You’re never more than ten yards from one. The rat won first place in the legend of the 12 animals who raced across the river – by sneaking a ride on the ox’s back. A. With family and friends. A. We celebrate on New Year Eve if work commitment allows. It is the most important day. A. Give children lucky money in a red envelope. Give oranges to friends to wish them good luck, as the pronunciation of ‘orange’ is the same as ‘auspicious / lucky’ in Chinese. A. Not in the UK. We may watch the great New Year’s Eve show produced by Central China TV. It is always the highlight of the year. Q.What is your animal sign in the Chinese Zodiac? A. There are lots of ways to celebrate this joyous occasion. Traditionally, we celebrate it by holding family reunions and family dinners. We also visit friends or make phone calls to offer our best wishes. A. We start celebrating it from the eve all the way through a couple of days or even more. 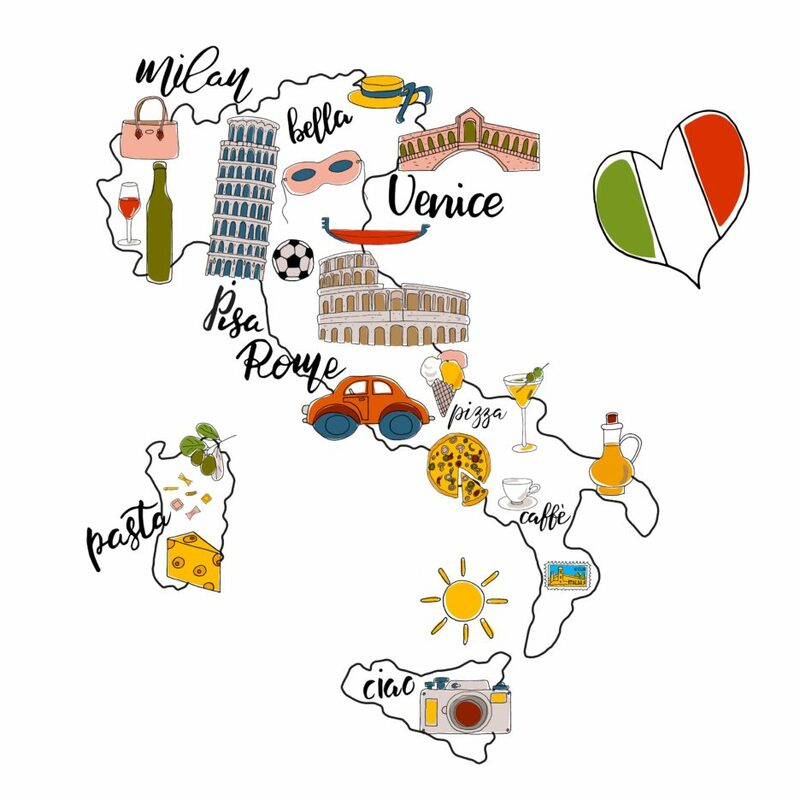 In the daytime, we visit relatives or friends and go to places such as parks or malls where there are lots of festivities taking place. At night, we watch galas on TV or dine out with family and friends. A. I can give a few examples. Many people, especially those in northern China, traditionally love dumplings for New Year feasts. Nian gao, a sticky rice pudding cake, is also favored by many. Dinners tend to be more elaborate than usual. A. Yes. For example, on the eve of Chinese New Year, parents will give their kids lucky money in red envelopes for auspicious purposes. A. Yes, we do, but nowadays, there aren’t as many firework displays as we used to see. For safety concerns, many places ban fireworks and fire crackers. A. Personally, my animal sign is the Rat. This coming lunar new year is a “Year of the Goat”.